Relaxing on a beach. 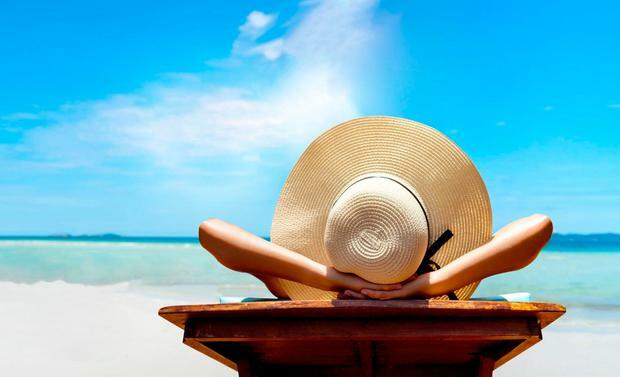 How can you save money on holidays? PA Photo/thinkstockphotos. 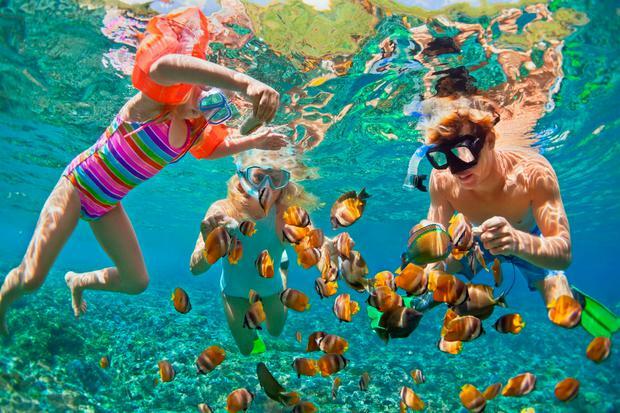 A family snorkelling on hols. PA Photo/thinkstockphotos. With tour operators and airlines vying for your attention, it’s easy to become overwhelmed by discounts and bamboozled by deals. But there are a few things important things to consider. Based on research by holiday comparison site TravelSupermarket, these are the top tips to follow. If you’re planning a short-haul seaside package holiday, it makes sense to go early in the season. Most properties will be open by May, there will be fewer crowds and temperatures can be surprisingly balmy. Departing on a holiday package or flight on a Tuesday will often give you the best prices as demand for flights out of the UK and Ireland tend to be lower on this day. How to blag a flight upgrade – the Holy Grail of travel hacks!